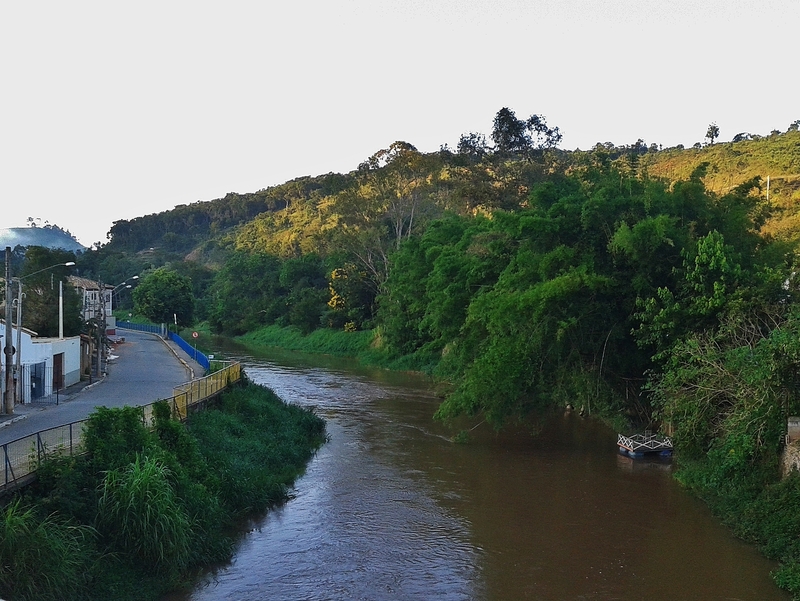 Motoring back from the Litoral Norte of the state of São Paulo is an entertaining and scenic drive from Ubatuba along a steep and winding road up the escarpment. 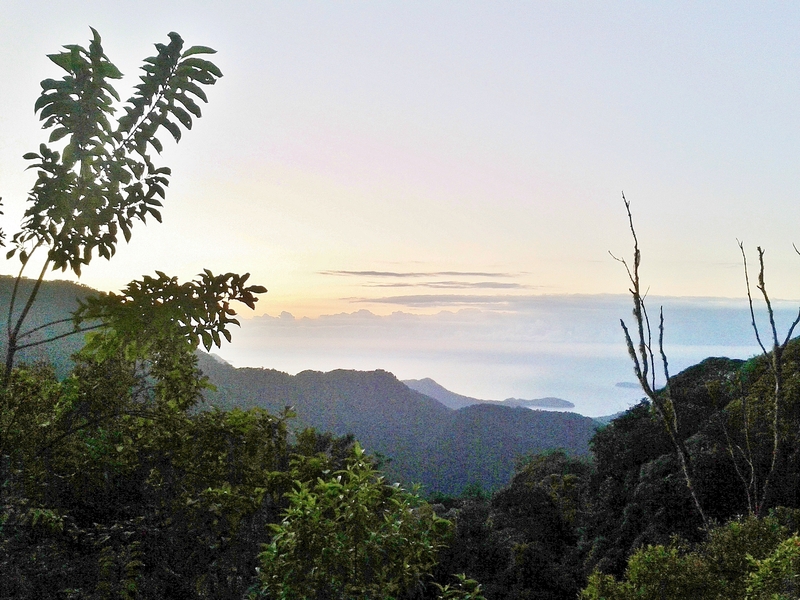 It’s difficult to stop, but glimpses of the view down to the coast are especially striking early in the morning. Be careful to keep your eyes on the road though – it’s so steep and winding that the narrow verges are littered with the hubcaps of cars that must turn in sharply. 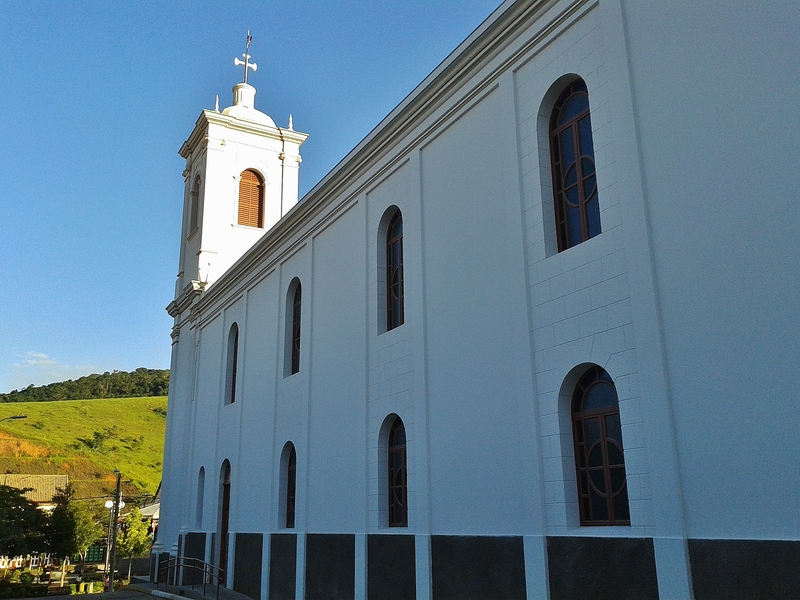 Driving towards Taubaté, you pass a turn-off for the historic town of São Luiz do Paraitinga. It’s set on a bend in the river for which it’s named. 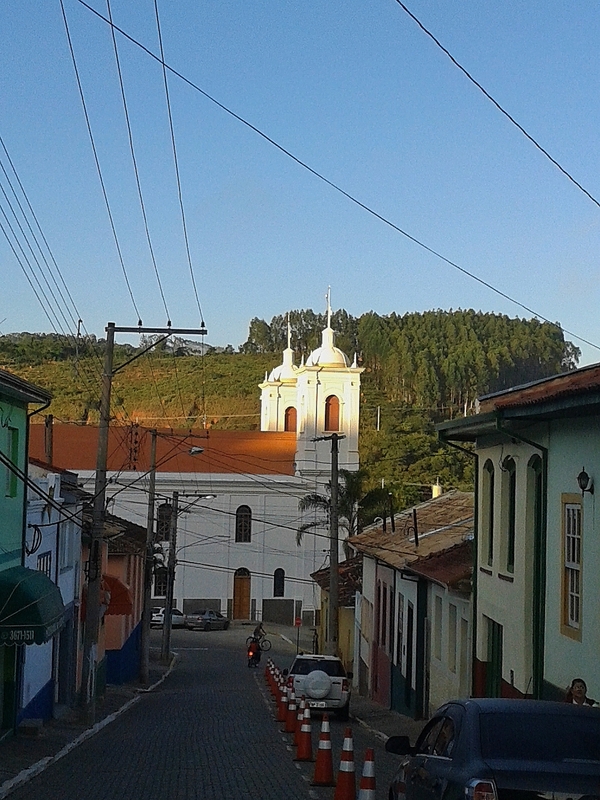 Founded in the eighteenth century, São Luis is a pretty little Baroque town which quickly became one of the largest in Imperial Brazil. Its prosperity was built on farming coffee and wheat. 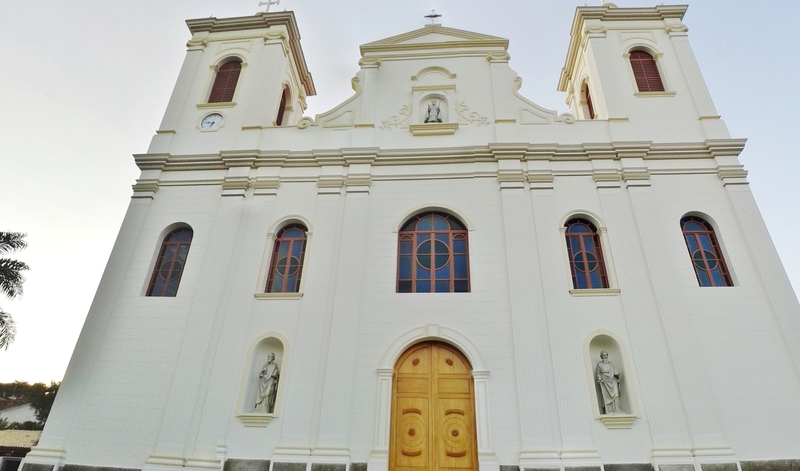 The imposing façade of the main church evokes the town’s wealth and status, though its recent history reflects a more modest reality – destroyed by floods in 2010, the church was restored and rebuilt using government funds available to sites declared a part of Brazil’s patrimônio cultural nacional. 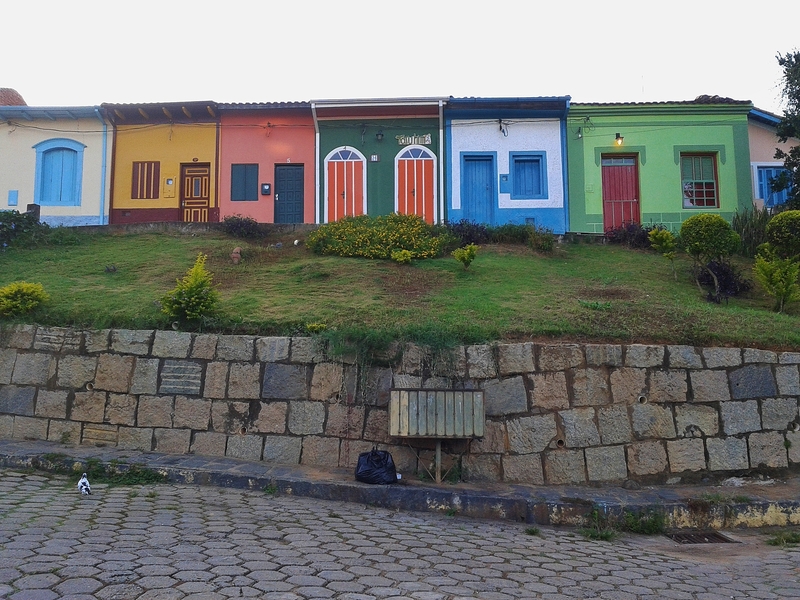 These days, the local economy depends as much on tourism, especially during carnaval, as on agriculture. 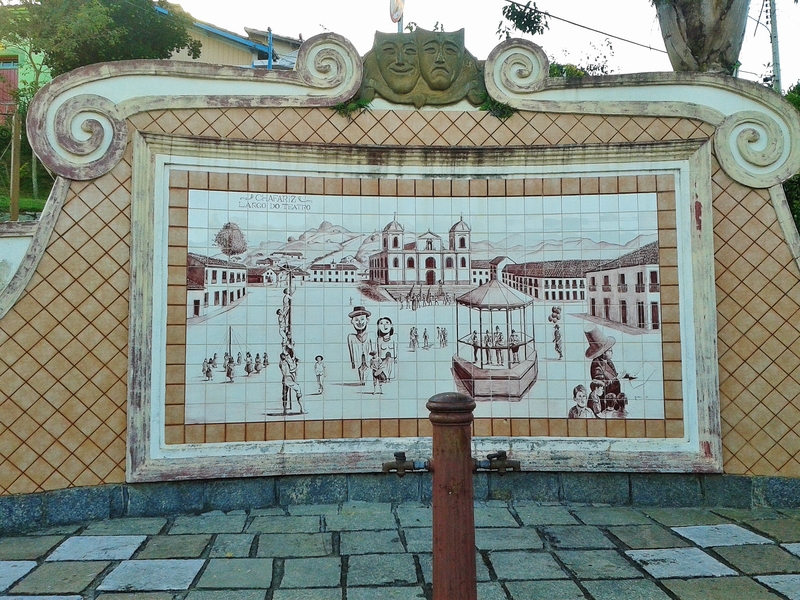 During carnaval, the townpeople’s fondness for the music of marchinas, for larger-than-life puppets and for folk dancing comes to the fore. 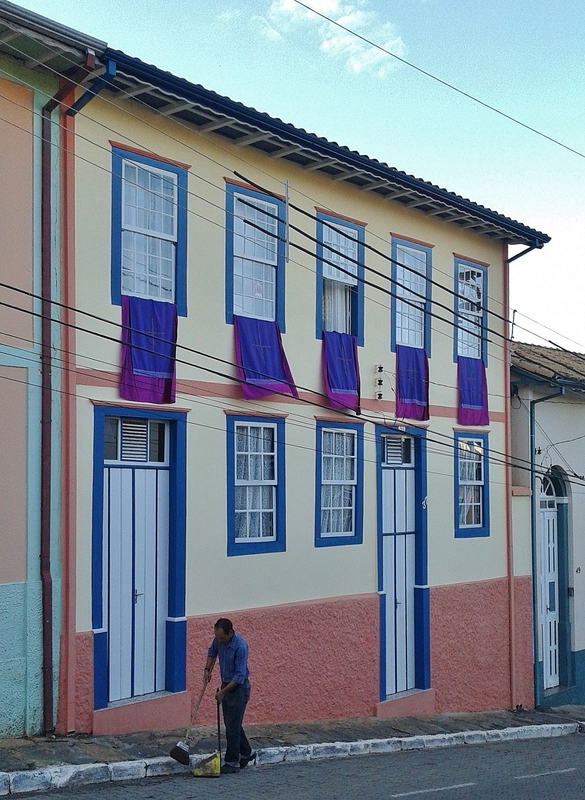 The São Luis celebrations are well-known in Brazil. Perhaps less well-known is its religious life. 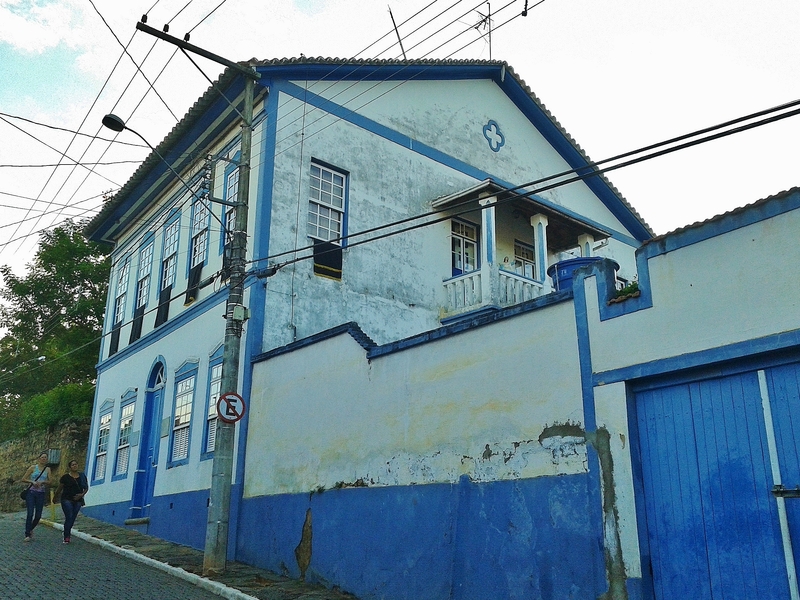 São Luis is home to a congada and moçambique tradition, dance displays with an Afro-Brazilian syncretist religious background. It’s clear from a stroll around the historic centre during the Easter break that religion is a large part of life here. 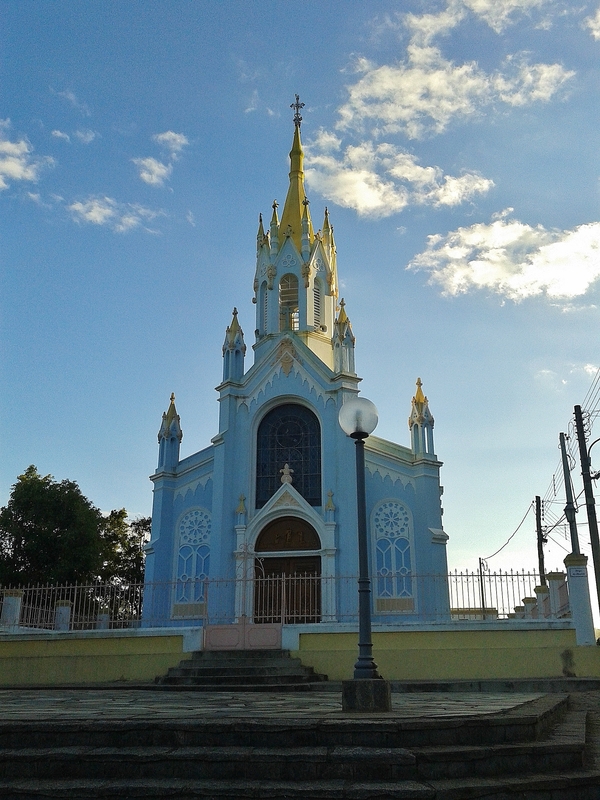 Church architecture is prominent. – there were blue and purple banners, some gold-fringed or with appliquéd crosses, to remind us both of the festive and of the solemn Christian religious aspects of Easter. More usual on the altar in a church, in São Luis they were displayed even in the windows of modest private houses as well as in religious settings. 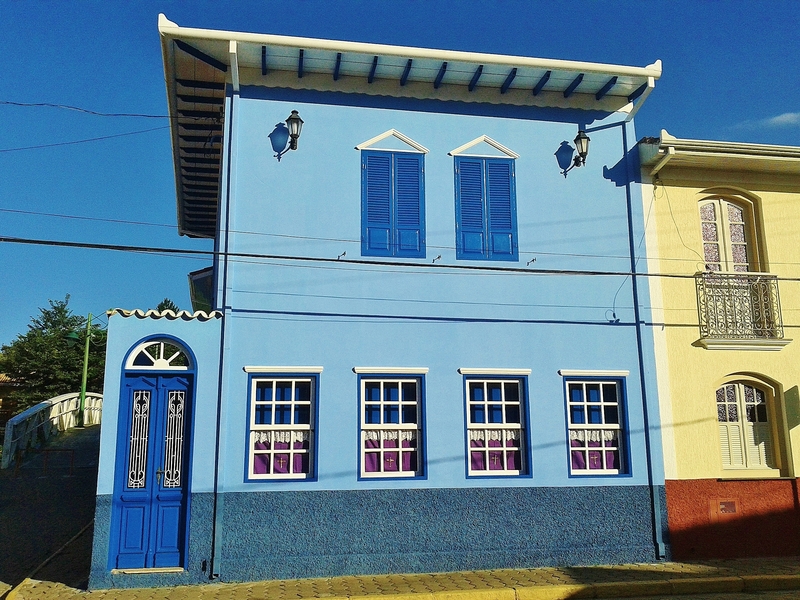 In São Luis, everyday life seems to become theatrically spectacular.